I found this tote on Toss Designs actual website...isn't it cute? 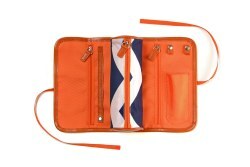 and I'm going to grab this jewelry organizer for traveling...another item I've been searching for. I typically roll up my necklaces in washcloths to prevent them from tangling. Don't laugh...I find it the best way to travel with them! Jewelry organizer you have found is cute! oksana that is a cute purse organizer. love the black one. When I get my sewing machine back out I will whip you up a jewlery case- I've been meaning to make myself one- so while I'm at it I'll make 2. I should say dont hold your breath on this one, sometimes my very thought out plans dont turn out how I want- but I'm crossing my fingers on this one! 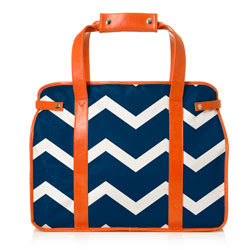 i adore the chevron tote! i LOVE the chevron tote. the orange is the perfect summer color! i really need a jewelery organizer for when i travel. i'll have to look into that brand! Love Toss... they have a store in the Marina! Adore the orange and navy Bentley!! 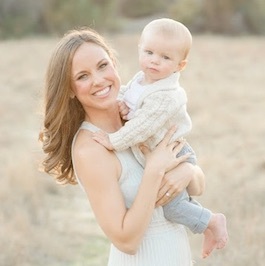 Be sure to come & send your friends to enter my amazing Giveaway from Tracy Porter!